After inspecting the city’s underrated nightlife last week, Matthias Scherer offers another argument why Antwerp is one of Europe’s cultural hubs – the Museum Aeen de Stroom (MAS). The Museum Aan de Stroom (Museum on the River) isn’t a museum like any other. An architectural artwork in itself with its own Michelin-decorated restaurant, it was opened with much celebration only two weeks ago, and showcases the port city’s artistic side. It does so in over 10 floors full of artworks from the last six centuries. But it’s not just the contents that are impressive: the museum itself, situated in Antwerp’s port area of Het Eilandje, it was designed by Dutch architects Willem Jan Neutelings and Michiel Riedijk, and its combination of red Indian sandstone and glass panelling is a sight to behold, even from afar. Inside, visitors can browse the rich and varied contents of the exhibitions. Particularly interesting is the Masterpieces exhibition, which focuses on artwork produced in and around Antwerp over the last four hundred years. The city’s famous son Peter Paul Rubens is represented, as are more contemporary Flemish artists’ sculptures and paintings. 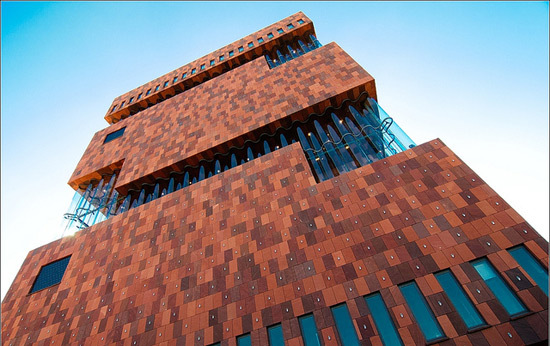 But the MAS does not only offer a look back at Flemish art and history. Out on the museum’s terrace on the ninth floor, visitors can enjoy a splendid view of Antwerp, the port and the river Scheidt. One floor up is the MAS’ very own restaurant, ‘t Zilte. With two Michelin stars to its name, food at this place doesn’t come cheap (plus, there is a week-long waiting list), but if you do manage to get a seat you will be able to dine on exquisite foie gras and other delicacies. The surrounding Het Eilandje district is trying to re-market itself as the city’s cultural hotspot and is building new apartment blocks, but it does have its own share of good (and more affordable) food and shopping outlets, so a wander around this transitional area is recommended. To go to Antwerp and include the MAS in your activities there, all you need is to take a P&O Ferry to Zeebrugge from Hull. Tickets are as little as £119 each way for a car with two passengers. The 2011 Bordeaux Wine Festival 2011 is an excellent opportunity for wine connoisseurs or those of you who just like a nice heady glass every now and again to meet (and exchange pointers with) fellow wine aficionados. This June, head to Bordeaux between the 24th-27th for the chance to taste some great vintages and explore the scenery of Frances wine country. There are a few ticket options available with coach journeys booked so you can hop around between vineyards and sample as much of the nectar of the gods as possible. You can buy a Sampling Pass or a Vineyard pass. The events of the Wine festival including the barrel race, firework and some of the talks on wine making are open to both. The Vineyard pass also grants access to these but you get some tours included. For package deals you get an inclusive coach journey as well as up to four star accommodations. 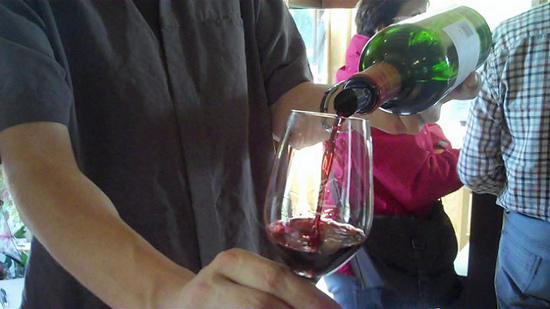 You may also attend English speaking tours of Bordeaux with up to 12 tastings. The 2011 Bordeaux Wine Festival is a great opportunity to learn more about the craft that goes in to wine making, as well as enjoy the beautifully maintained vineyards of France. P&Os Dover to Calais service can get you to France in time for the Bordeaux Wine Festival 2011, a short drive through the country and you can be there in time for a fantastic few days of tasting. After having cast a curious eye over Rotterdam’s clubs earlier this week, Matthias Scherer now takes you on an introductory tour of the nightlife in another initially unassuming, but ultimately highly alluring European city – Antwerp. Granted – Belgium hasn’t got the greatest rep when it comes to ‘cool’ countries. Brussels especially is mainly associated with suited Eurocrats and clean streets. However, don’t let that put you off paying a visit to Antwerp, a very underrated city in the Flanders region. One of the most well-known venues in the whole countrie is Noxx, a large, gay-friendly nightclub with a reputation for exhilirating, wild parties. It’s the first port of call for international DJs and artists such as rapper Busta Rhymes, techno heroes Digitalism or and mash-up legends 2Many DJs. Revellers can dip in and out of the multiple rooms and dance to cutting-edge house, electro and disco classics until 6am. There are tons of differently themed parties going on, so it’s definitely worth checking their website in advance. Petrol, meanwhile, is a warehouse dedicated to Drum n’ Bass and dubstep sounds. These bass-heavy sounds work very well in the spacious, slightly gritty surroundings. It’s also used as a gig venue (rapper Method Man played a scorching set there last year). It’s only a short bus (line 23 to Waalse Kaai) or tram (line 12 to Bolivarplaats) ride away from the central train station. In Antwerp’s red light district lies the Cafe d’Anvers, a garage-turned-cinema-turned nightclub and bar with deco that is part whacky and part flashy. The dominating music here is techno, and while the drinks are on the pricey side, the international DJs and the quality of the cocktails make the Cafe d’Anvers a great place for a classy night out. To get to Antwerp using P&O Ferries, you can get a ferry from Hull to Zeebrugge. There are plenty of restaurants and bars onboard to get you in the mood for a weekend of clubbing, or, if you prefer a different strategy, comfy beds to get some advance shut-eye. From Zeebrugge, it’s only a short drive to Antwerp. Historic findings in the Egyptian desert of 17 lost pyramids, as well as tombs and settlements numbering in the thousands thanks to infra-red satellite sweeps courtesy of NASA. With excavations coming underway an archaeological storm is soon on the way. If just hearing about these discoveries is not enough for you, there’s a little bit of tomb investigation for you to try for yourself in Brussels. 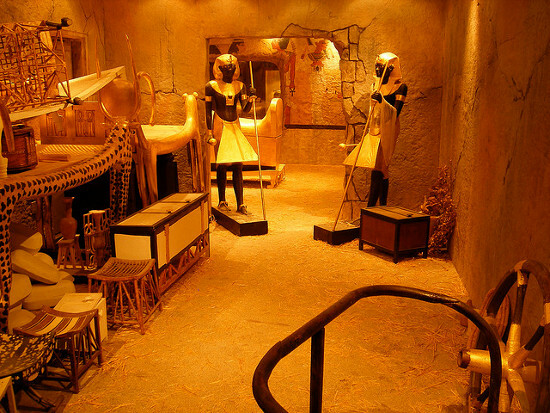 The Brussels Expo is hosting a recreation of Howard Carter’s 1922 discovery of Tutankhamun’s tomb. This recreation will allow you to step into Carter’s shoes and explore the 4,000 m² tomb with replica artifacts remade by 120 Egyptian craftsmen under close supervision of leaders in the field. The exhibit has been made identical to the original archaeological team’s findings, prescribed to Carter’s own sketches. The tombs layout as it had sat for thousands of years is in the Brussels Expo for you to rediscover. It’s getting increasingly difficult to see some of history’s greatest artifacts, since they are being kept away for the sake of preservation and further study. With Tutankhamun’s treasures in particular, transport is near impossible so this is a great option for those of you wishing to see the iconic deathmask painstakingly reproduced amongst all the glory of an ancient King’s wealth. Belgium is just a short drive from Calais, P&O ferries can take you there from Dover, alternatively you can catch a Hull to Zeebrugge ferry and get to see the reconstructed Pharaoh’s tomb. To paraphrase the great Bruce Springsteen: “Summer is here and the time is right/to go clubbing in Europe”. Punters have been taking budget flights to Berlin and Paris for years, but with P&O Ferries, you can step on the dancefloor less trodden – Matthias Scherer thinks Rotterdam is worth a boogie. With the ash cloud putting thousands of revellers’ plans in jeopardy, taking a boat across the channel has seldomly seemed mor sensible. 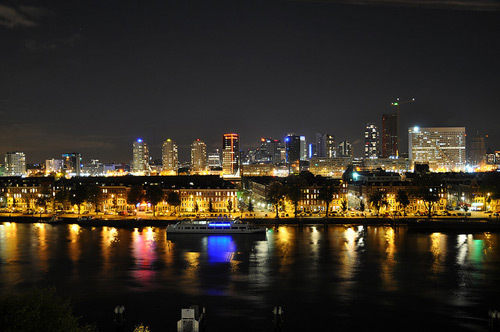 By hopping on one of P&O’s ferries to Rotterdam, you could find yourself immersed in the city’s joyous nightlife within hours. For the more adventurours clubber, Off Corso is probably a got first stop. Located in an old cinema at Kruiskade 22 (a short bus or tram ride south-eastwards from the central station), it mixes arty decoration and leftfield sounds to create a refreshingly offbeat atmosphere. You’re unlikely to be aurally molested by the Black Eyed Peas et al, but you will hear the newest hip-hop and techno tracks and remixes, along with spaced-out jazz at their jazz parties. Check in advance what kind of party is on the night you’re planning to go, because they vary on a daily basis. Even further off the beaten track is Maassilo. It’s south of the Meuse river, about 30 minutes from the city centre (although only about 15 mintues from P&O Ferries’ landing port, the Port of Rotterdam), but it is worth the brisk walk: renowned electro acts such as Soulwax and London producers Crookers have played there, and it was the venue for the positively banging Revolt party at the end of April (Simian Mobile Disco, Vitalic, Erol Alkan and many more played). Expect throbbing techno and house beats as well as a hip crowd getting merry in a former grain silo across six floors. Now, because we realise clubbing isn’t for everyone, the final suggestion is as obvious as it is essential: De Witte Aap has widely been hailed as one of the world’s best bars, and rightly so. Cosy, friendly, with none of the snootiness that often comes with big city nightlife. It’s open till 4am, so it’s a great place to wind down or to just sit in for hours watching and talking to fellow punters. The upcoming weeks might be the best time to pay it a visit because of its fabulous summer terrace. To start off your trip to Rotterdam and take in these great places, all you need to do is get a ferry from Hull to Rotterdam port. P&O Ferries offers a five-day trip for a car and two passengers, including en-suite cabin and all taxes, for only £119 each way. Those of you hankering for a cool beer on a hot day should plan ahead for the 2011 Beer Passion in Antwerp. 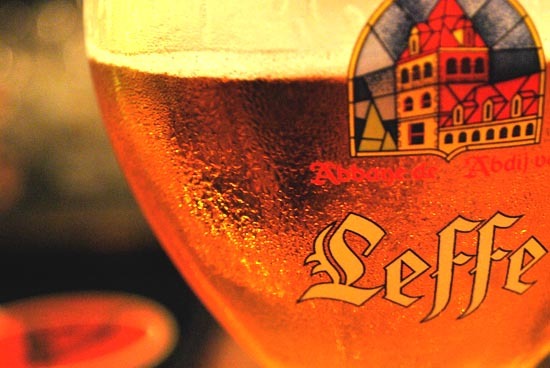 A trip to Belgium late in June will sate your palate for the beverage we all love. Beer Passion is a relatively new annual event running from the 24th to the 26th of June in the northern city of Antwerp – place rich in heritage and rich in beers. Beer Passion 2011 is held in Groenplaats, an 18th century square in the heart of Old Town Antwerp. Groenplaats translates as ‘Green Square’. A tent will be set up for the beer festival, but it has views of the Cathedral and is surrounded by terrace cafes for you to sober up in. This would be great for a trip with a small group of friends, or, if you’re a more serious enthusiast, it is a fine opportunity to expand your repertoire and meet some fellow drinkers for a chat about the finer points of beer making and drinking. There’s also a food stall set up which will come in handy since you’ll be hard pressed to find a beer below 5%. Live music will be arranged and all the best Belgian brewers will be there, including the Trappist monks who make a highly a sort after ale. The entry fee covers a voucher good for one beer – the rest are on you I’m afraid, but you’ll get a nifty keepsake in a sampling glass if you shell out a couple of pounds at the entrance too. Belgium is just a short drive away from Calais, P&O can get you there for a beer filled weekend, interesting tastes and sites in the beer capital of Euope. The Cannes Film Festival 2011 has again been drawing heaps of attention from film fans around the world, and rightly so. The French love their cinema, and France has traditionally been a great exporter of renowned films. Matthias Scherer suggests two film locations that are worth a visit. The New Wave movement was like a bolt of lightning to the film world back in the late 1950s and 60s. Among its torchbearers was the legendary film critic turned auteur Francois Truffaut. 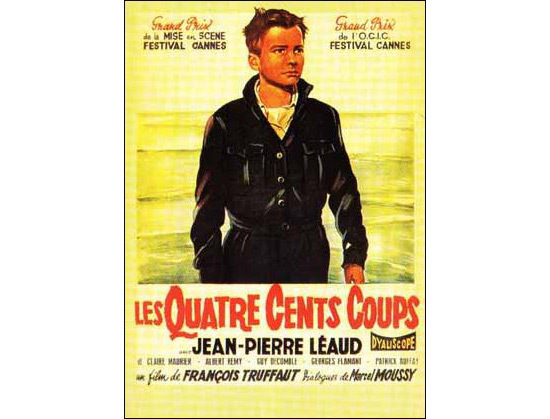 Among his most celebrated works is his debut film, The 400 Blows (Les Quatre Cent Coups). The film tells the story of Antoine (played by Jean-Pierre Léaud), a boy growing up in a small household weighed down by marital problems. Antione feels misunderstood at home and at school, with his behaviour leading to him being put into a centre for problematic youths. The famous final shot of Antoine running along the beach was shot near the Normandy commune of Honfleur, across the bay from Le Havre. Honfleur is a gorgeous little harbour town next to the Seines estuary, famed for the Sainte-Catherine church, which is France’s largest wooden church. There is also a museum dedicated to the work of famous painter Eugène Boudin, who was born in Honfleur. Honfleur and its coastline is only a 2 hour drive from P&O Ferries port Calais – a trip well worth for anyone with a weakness for classy, French films. A more recent (but no less classic) film that thrives on its French setting is Lasse Hallstroem’s Chocolat, starring Juliette Binoche and Johnny Depp. While a good part of the film about a mother and her daughter moving into a new town and setting up a chocolate shop was actually shot in Britain, there is no getting round the fact that a lot of the rural charm of the film derives from its setting in Burgundy, eastern France. The village of Flavigny-sur-Ozerain was used as the background for a lot of the scenes involving the actual shop Binoche’s Vianne uses to turn people’s heads. It has been named one of France’s most beautiful villages, and, with its idyllic, cobbled streets, its cosy Sunday morning market, its excellent red wine and its botanical garden, it’s not difficult to see why many foreigners have set up second homes there. To visit Flavigny-sur-Ozerain, all you have to do is get a P&O Ferry from Dover to Calais and either drive through the countryside (about three and a half hours drive – try to arrive via the D9 road for a glimpse of the panoramic opening shot of Chocolat) or get a train from Paris to Montbard train station (about four hours). This July will see the return of the annual Summer festival of Nijmegen called Vierdaagsefeesten or Four Days Festival held from July 16 to Friday 22. The International Four Day Marches is the largest marching event in the world. Civilians and military personnel undertake a four day expedition marching up to 50 Km in total. In recent years up to 40,000 people have done the walk which ends with a presentation of royally approved medals. The march enters many different towns in the Netherlands, including Rotterdam and Utrecht, and naturally draws a large crowd. 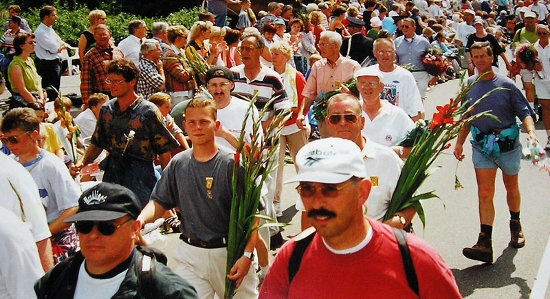 Though the marchers, undoubtedly, are in no mood to party after a long day’s walk, the tradition sees festivities known as Vierdaagsefeesten spring up all over the country. The first march was organized for 1909 the day after the Queen’s Day festival, with just over 300 participants. It was delayed and eventually cancelled, but has been a growing tradition ever since, to the point where it is now an international undertaking. Vierdaagsefeesten welcomes all tourists; live music is set up for free with a rock festival de Affaire held every day of the march. On the Friday of the last leg thousands of people cheer on the walkers as they cross the finish. There’s a huge firework display celebrating the close of the event, a wonderful spectacle to honour the endeavoring spirit of the marchers. P&O Ferries is a great way of getting to the Netherlands for Vierdaagsefeesten. Ferries take off from Hull and arrive in Rotterdam, from where it is only a short drive to Amsterdam.